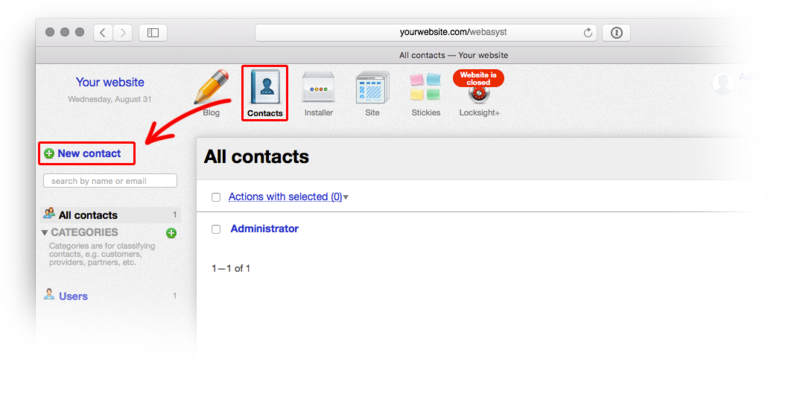 Set the contact information and save it. 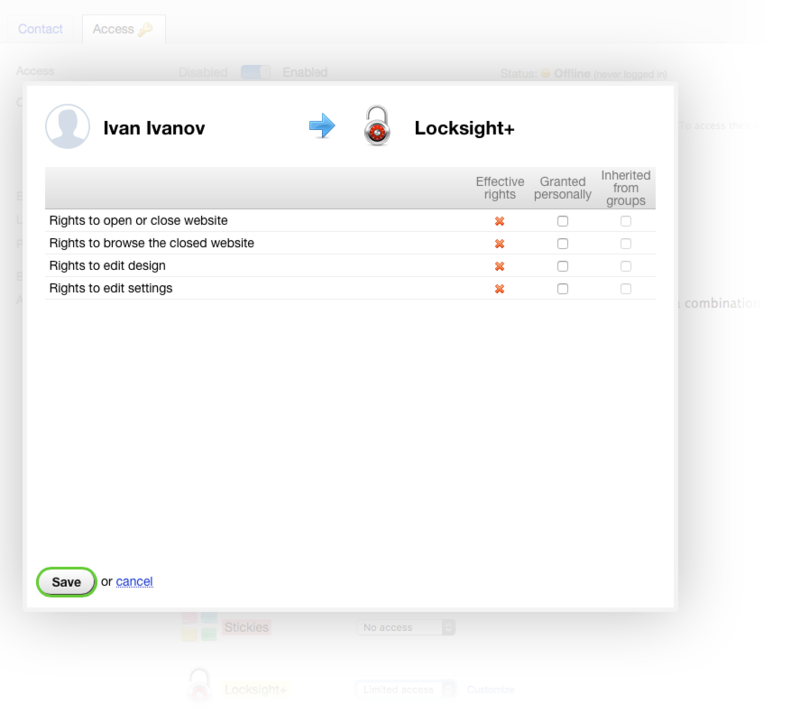 Then click "Access" tab and turn on the Access. 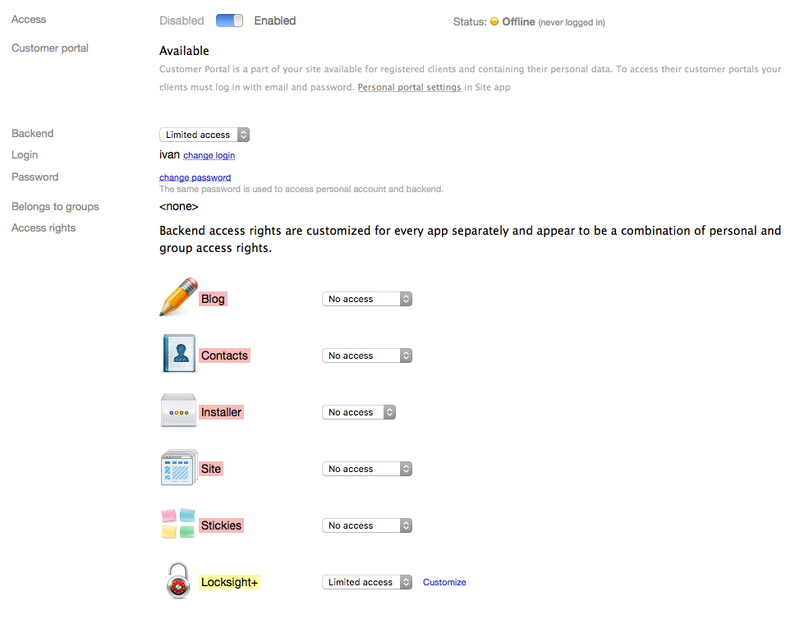 Now select Limited access option in the Backend row. 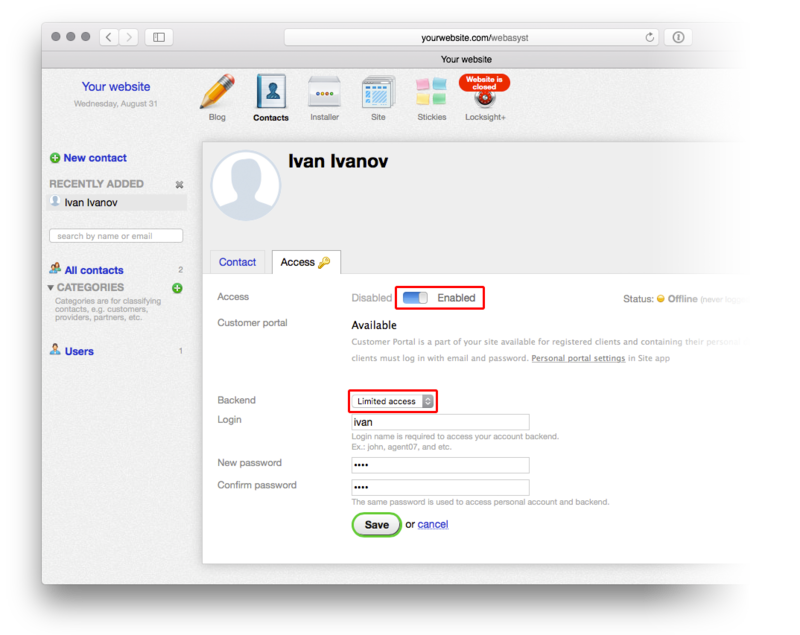 Set login and password, which will be used by user for accessing a closed website. In the popup window choose needed options. Save changes and that's all.